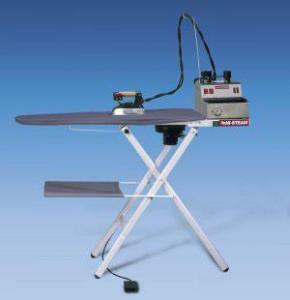 Portable vacuum pressing table is ideal for alteration shops, tailors, dry cleaners, and sample making departments. Strong built in vacuum motor that dries the fabric, ensuring a clean and crisp finish to your garment. Standard features include an all metal design (for long life) a built in heating element, and a catch tray for longer garments. Vacuum Area 43" x 15" x 9"
Vacuum Area dimensions 43" x 15" x 9"